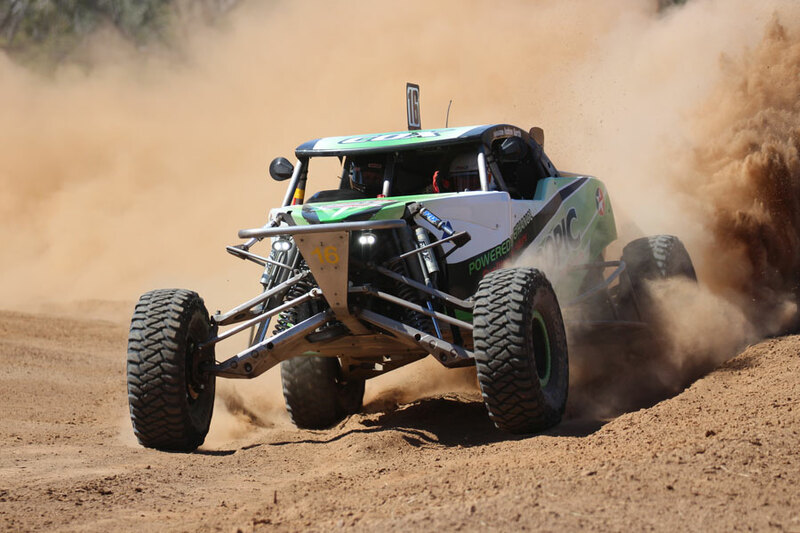 Talbot Cox and Andrew North lead the Albins ARB Goondiwindi 400 going into the over night break after topping the prologue time sheets ahead of a quality ARB Australian Off Road Racing Championship field. Tony Fehlhaber and Gary Howell slotted into second place ahead of Andy Brown and Ross McNab. Michael and Jae Collins secured fourth place with Danny Brown and George Apted in their first outing of the season, rounded out the Albins ARB Goondiwindi 400. Action gets underway at 8am tomorrow when the field will take to the 80km course for four further laps.